Last week, I talked about the misguided notion that big wins lead to big Breeders’ Cup profits — they don’t — and, this week, I want to offer some other tantalizing tidbits about America’s premier showcase for thoroughbred racehorses. I’ll start with recent form. As I pointed out in the 2012 Breeders’ Cup Betting Guide, a decent last race is essential to BC success. How essential? Since 1999, only two horses — Daylami (1999 Turf) and Midnight Lute (2008 Sprint) — have won a Breeders’ Cup race with a Win Factor Report “Form Rating” of less than 20 percent. The Win Factor Report is a computerized fair odds line that I created, which will be available to Brisnet.com users when the final entries are known. However, it’s worth noting that, as of this writing, there were 41 potential BC entries with a Form Rating south of 20 percent — including several likely favorites or near-favorites. 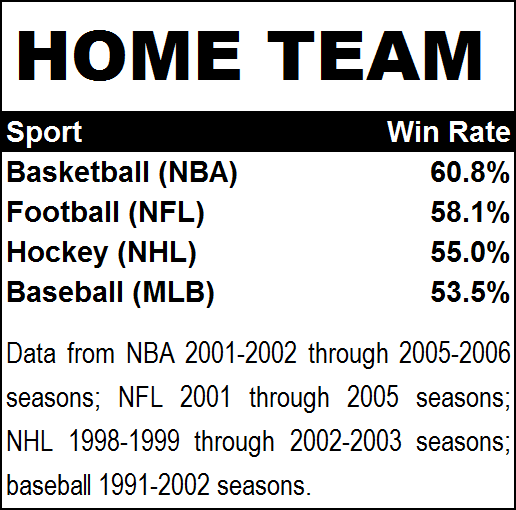 It is little secret that, in most professional sports, the home team has a statistical advantage. 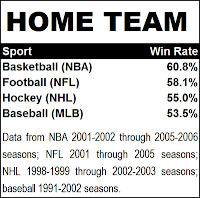 In fact, a 2007 study conducted by Oliver Entine and Dylan Small of the Department of Statistics at the Wharton School, University of Pennsylvania, found that, in the NBA, home teams won nearly 61 percent of the time. In the NFL, the rate was 58 percent; in the NHL, 55 percent; and in Major League Baseball, 53 percent. Hence, the logical question: Does this home team advantage extend to thoroughbreds running over their "home track" in the Breeders’ Cup? *There were 133 winners in 132 total races due to a dead-heat in the 2003 Turf. Given that horses are creatures of habit, I don’t think I’m going out on a limb by opining that animals that recently handled conditions similar to those they will encounter at Santa Anita on Nov. 2-3 will probably (as a whole) perform better than those that did not. Interesting stats on home track runners.